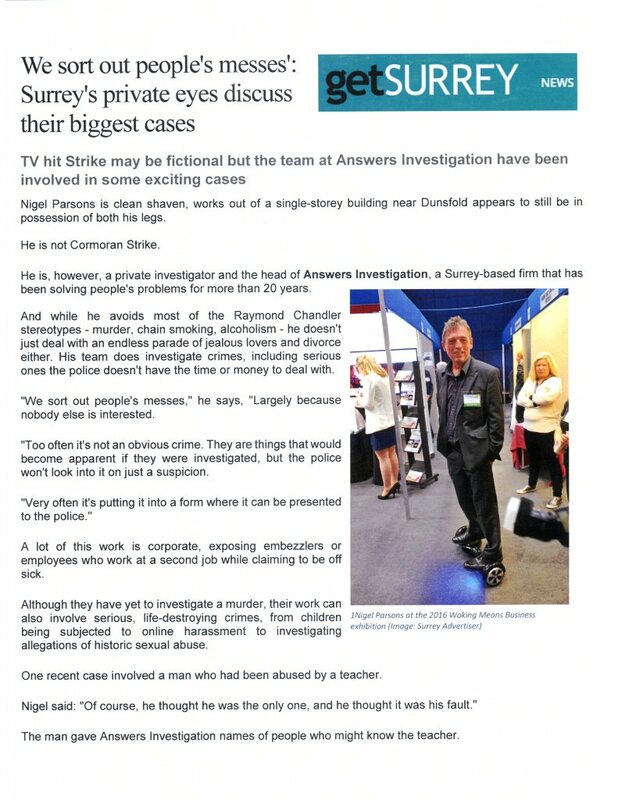 Private Investigators Answers Investigation featured on Get Surrey (online version of the Surrey Advertiser) - click here for the pdf version of this story. 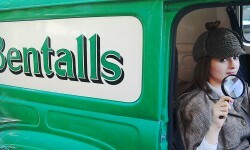 Call us on 01483 200999. Answers Investigation have local sites in Surrey, in London, & in Hampshire & other locations across the UK. Email us at info@answers.uk.com. "We sort out people's messes," he says, "Largely because nobody else is interested"
"Too often it's not an obvious crime. 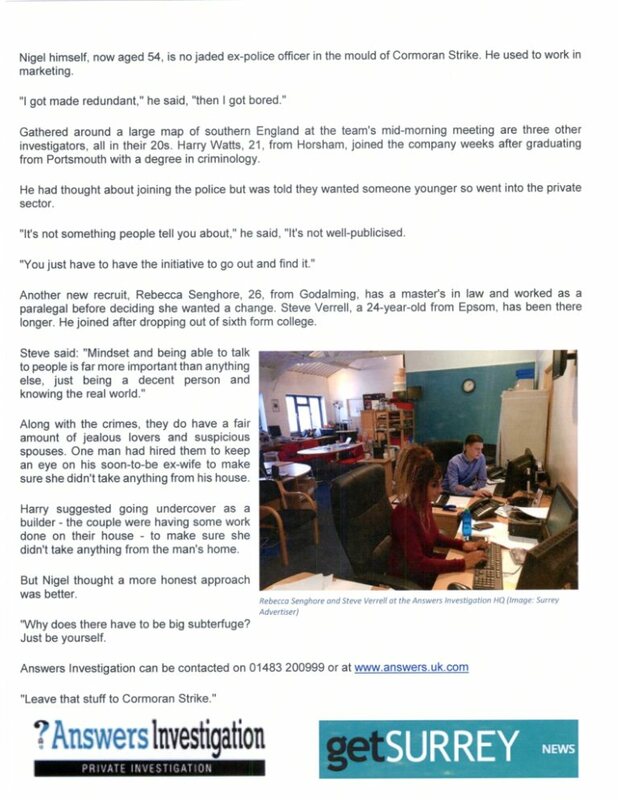 They are things that would become apparent if they were investigated, but the police won't look into it on just a suspicion"
"Very often it's putting it into a form where it can be presented to the police." Nigel said: "Of course, he thought he was the only one, and he thought it was his fault." "We went to the Middle East, we went to Scotland, we went to Wales. Then we dumped it on Surrey Police, who eventually sent it to the Met. It took two and a half years to get charges brought." Nigel said: "It wasn't proving it, but it was showing what they had said was true." "I got made redundant," he said, "then I got bored." "You just have to have the initiative to go out and find it." Steve said: "Mindset and being able to talk to people is far more important than anything else, just being a decent person and knowing the real world." "Why does there have to be big subterfuge? Just be yourself"
"Leave that stuff to Cormoran Strike."